Legendary college basketball figure who has coached Duke to five NCAA basketball titles in 1991, 1992, 2001, 2010 and 2015. He also coached the US men's Olympic basketball team to gold in 2008 and 2012. 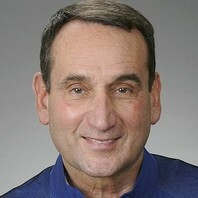 How much is Mike Krzyzewski worth?